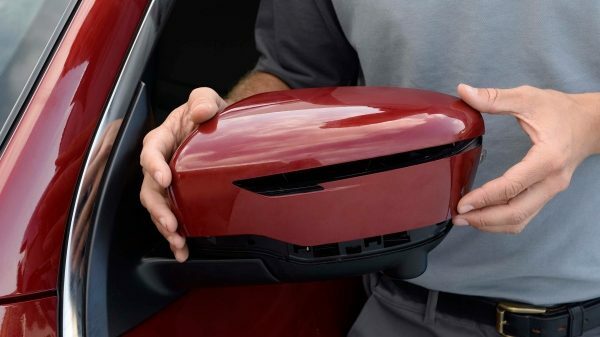 Nobody knows your Nissan better than our Nissan Bodyshops. 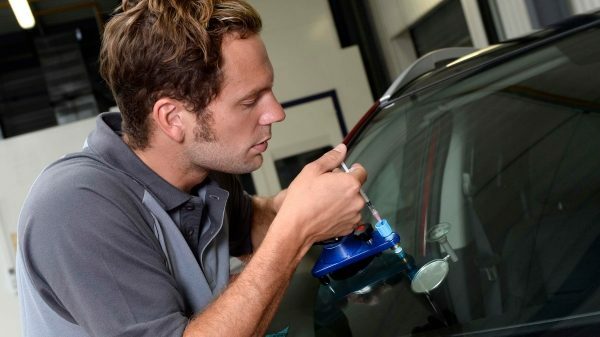 Our qualified, professional paint and bodyshop technicians are equipped with the most advanced, specifically-designed tools and equipment and will repair your car using Nissan Approved repair methods. Our parts and panels are designed to be reliable, long lasting and be a perfect fit since they are built to the same specifications as the ones used to produce our vehicles. Our repairs are warranted, so you can have total peace of mind. All Nissan genuine parts carry minimum 12-month manufacturing warranty and all Nissan body panels* carry 12-year anti-corrosion warranty. *except Atleon panels which comes with 6-year. Minor damages to your windscreen shouldn’t be left unrepaired as they could develop into cracks – meaning you’ll need a total windscreen replacement. The windscreen is an important safety element of your car, which is why a windscreen check is carried out during your vehicle MOT. Nissan Dealers are equipped and trained to identify any repair or replacement needs – and carry them out with minimum inconvenience to you. Our repairs will be carried out quickly, leaving virtually no trace. 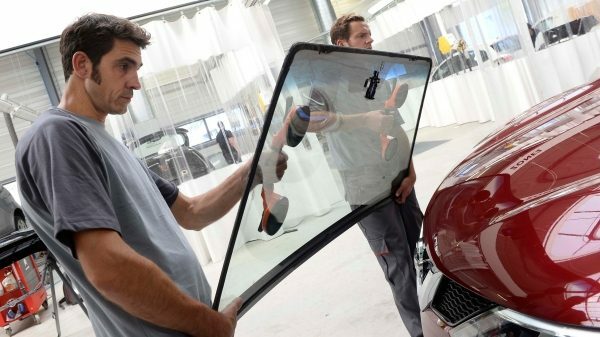 If the impact is too big or is located in a critical area, our technicians will replace your windscreen with one of the exact same specifications. Our advisors will even talk with the car insurance company on your behalf, dealing with all the administrative hassle and getting you back on the road as quickly as possible. Nissan Dealers have a selection of painted replacement parts available in stock. This ‘ready to fit’ offer allows us to carry out replacements on items such as mirror caps or bumpers in a very short time – making sure you’re not without your car for too long. Our Nissan technicians are trained with the latest techniques on minor dent removal, spot repair, alloy wheel, interior or headlights repair, offering you a fast and cost effective solution to get your car back to its original condition. 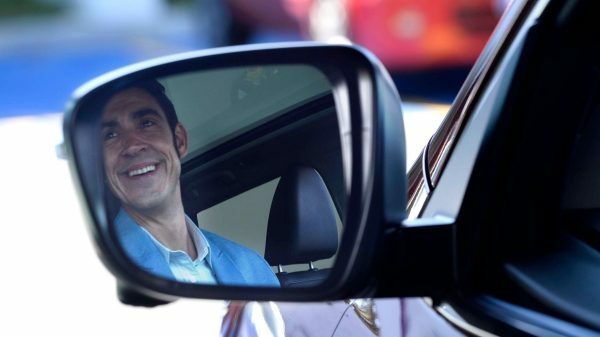 Nissan Roadside Assistance is always here to help – even if you have an accident. 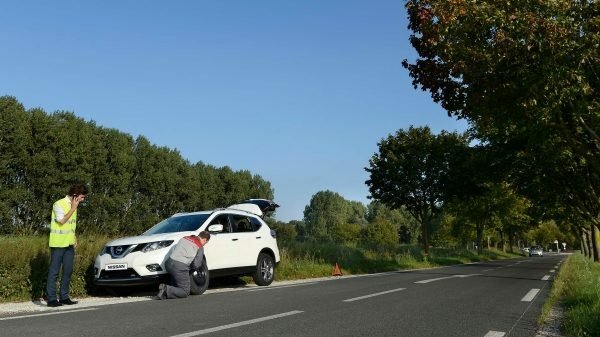 Our recovery vehicles will be sent to you as soon as possible and our Nissan Roadside Assistance technicians can solve many problems on the spot and have you moving again quickly. If this isn’t possible, we’ll take you and your vehicle to the nearest Nissan Dealer. If your vehicle can’t be repaired on the same day, we can still help. Nissan Roadside Assistance will either provide you with other means of transportation or arrange accommodation for you and your passengers for up to 3 days if you choose to wait for the repair to be completed. If it happens that your vehicle is immobilised or unavailable for more than 3 working days due to a mechanical, or self-induced breakdown or accident and has been towed to a Nissan dealer, Nissan Roadside Assistance will repatriate the vehicle, driver, passengers and luggage to your home dealer.